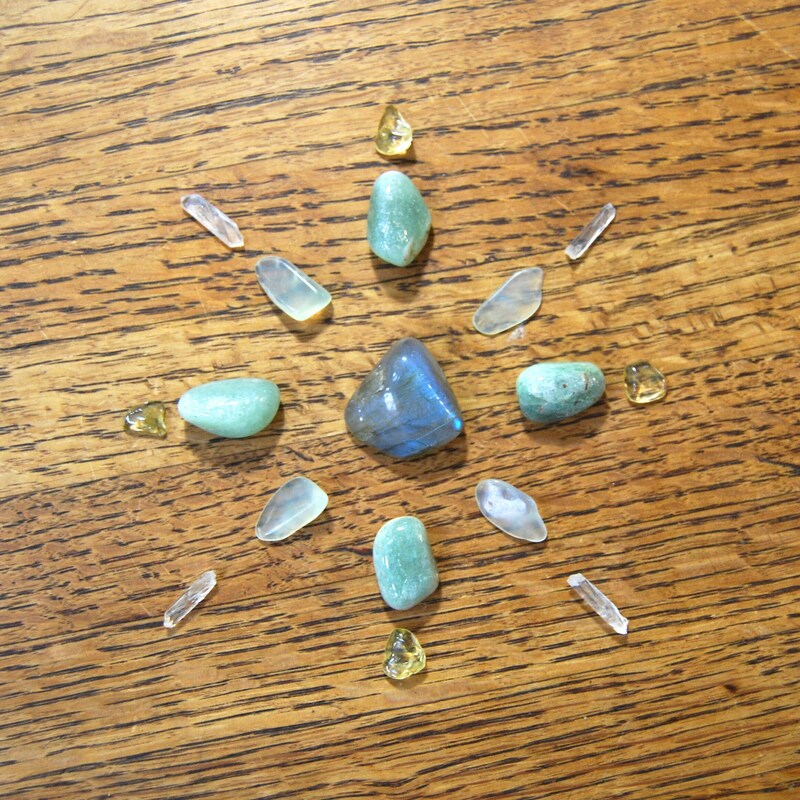 Perfect for at home or on the go, these mini crystal grid kits contain everything you need to set up your own crystal grid to attract financial success or draw money into your life. 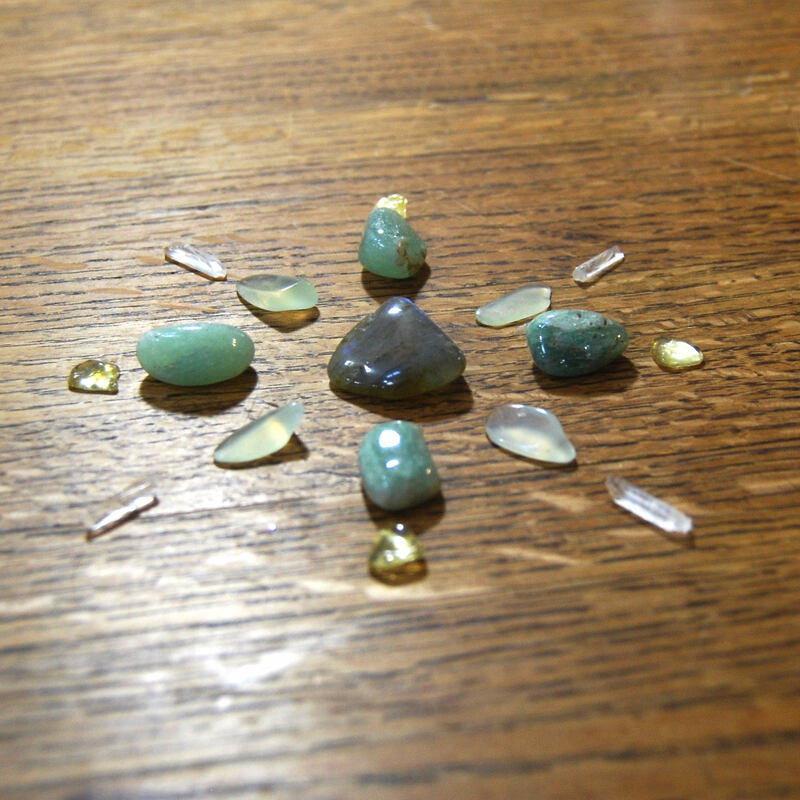 The sizes and shapes of the stones may vary slightly from the example pictured, but you will receive the same stone assortment and the same center stone. 1. 1 Labradorite center stone. Labradorite is a stone of Transformation and Good Fortune. It helps strengthen ones intuition and brings about change. Protects you from making bad financial decisions. Increases personal strength and perseverance, while also grounding. Jade is a stone of growth attracting money and keeps it growing. Helps bring clarity to important business decisions. A stone of harmony and attracts good luck. 3. 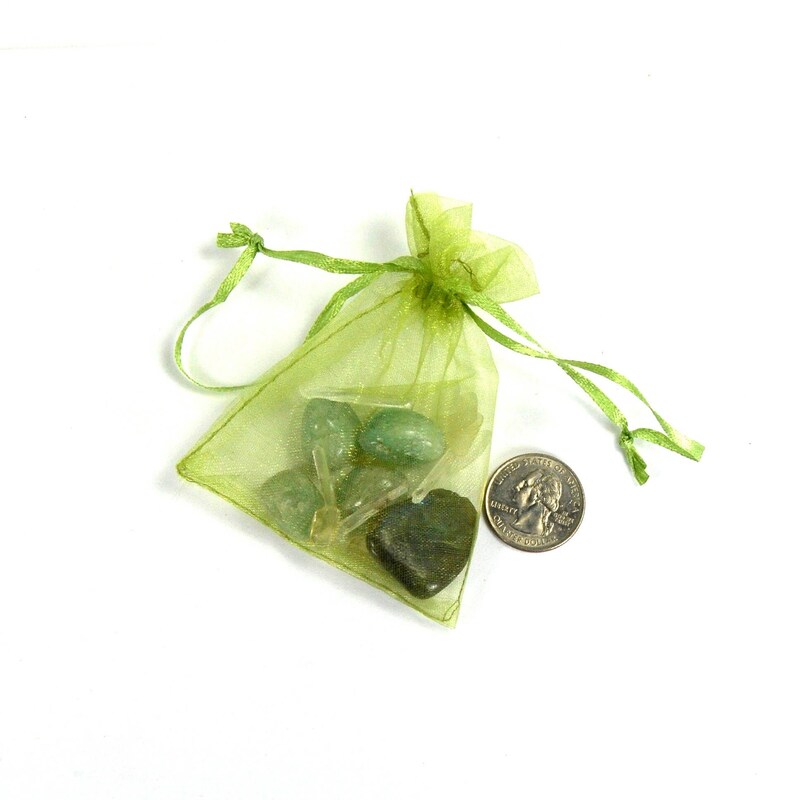 4 small tumbled Green Aventurine stones. Aventurine attracts wealth and is a common talisman to bring about good luck in financial situations. Increases perception and creativity. Citrine is a stone of Wealth and improves financial situations. Brings about good fortune and prosperity in business. Attracts good luck. Enhances intelligence. Promotes a happy disposition. Encourages one to look forward towards the sunrise. Brings comfort and optimism.